Melt butter in a thick bottomed pot. Add the flour and stir with a wooden spoon until the sauce thickens, don’t allow it to discolor. 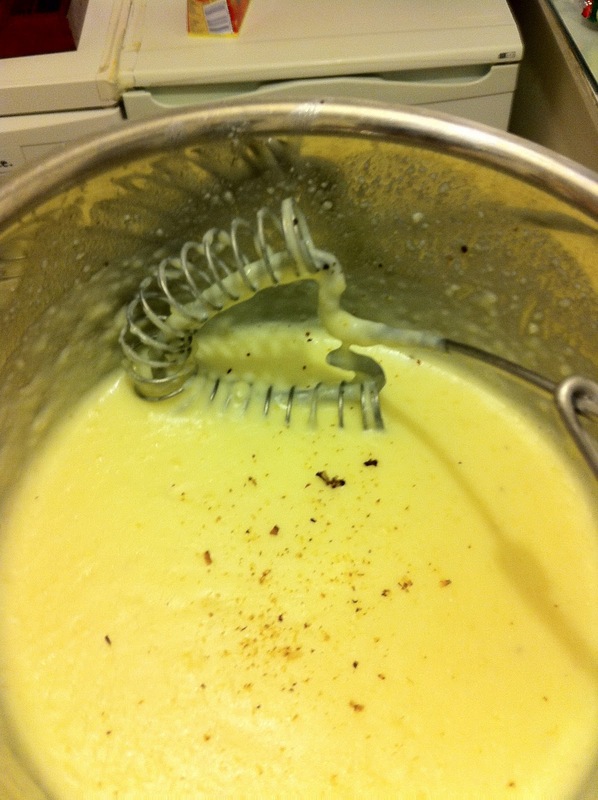 Add the milk progressively, stirring constantly until the sauce thickens. Grate the nutmeg directly into the pot, lots of nutmeg, a splash of fresh ground black pepper and just a wee bit of salt.